A light touch. 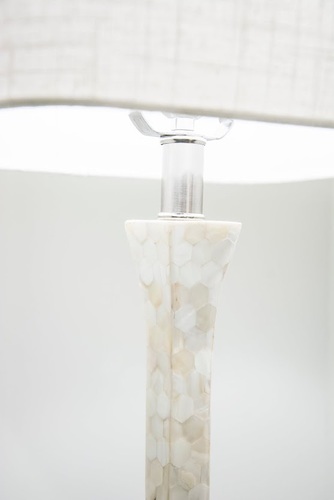 Interlocking hexagons of mother of pearl cover this shapely silhouette lamp. 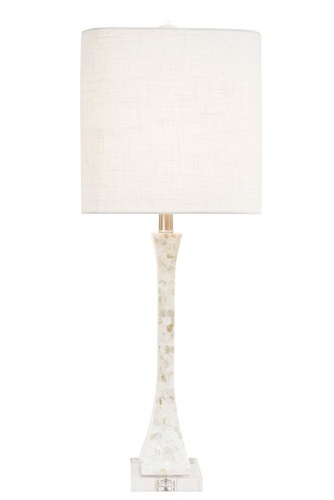 Accented with clear acrylic and a square rounded corner hardback shade in white linen. Buy two, they work perfectly as a pair of buffet lamps flanking a mirror. Lamp measures 12"W x 32.5"H and take one 100 watt bulb.